Shutterbug: Preview of Shamaeel’s Fall’13 Luxury Pret Collection for Fashion Week! At the last FPW’13 held in Spring, Shamaeel Ansari’s ode to the Orient was one of the most touching collections of the event. This Fall when we heard she was part of the excellent designer line up that will be showing at the upcoming TDAP fashion show that is part of Expo Pakistan 2013, we just had to get a closer look before seeing it on the runway in just a few days. We bring you an exclusive sneak peek of the collection as it was being shot by the wonderfully talented Ayaz Anis and modeled by rising star, Abeer Adeel. Our first thought when we saw the pieces was how beautifully soft and feminine the silhouettes were. Graceful textured layers fell perfectly and Shamaeel’s signature Indian Boho prints complimented the vintage shapes. As Shamaeel happily showed us the designs she mentioned that she had consciously designed the collective to be divided into ‘Cocktail’ and ‘Classic’ wear for luxury evening formals and ‘Bohemian’ for trendy chic pret wear that would work for day wear as well. The gently draped boho prints with playful tassle and fringe accents paired with flare leg crepe pants with vertical printed stripe borders had a relaxed charming flavour while the gorgeous ivory detailed vests with a racer back and shimmering sequined capes paired with a timeless crochet scarf were classically elegant transcending time and trends. The pieces we witnessed were subtle yet stylish and charismatic making them very wearable indeed. We also saw a gorgeous custom woven brocade unfinished vest with amazing gold handwork that we can’t wait to see once its ready. We expect the complete collection will once again be one of the most memorable we see on the ramp. Shamaeel will be exhibiting her Fall Luxury Pret Collection in Lahore and Dubai in the coming weeks. The pieces will also be available for custom orders via appointment at her Karachi studio and for shipping internationally. For more details visit the Shameel Ansari Profile Page. Shutterbug: Preview of Sania Maskatiya's 'Hazan Autumn'13' Pret Collection! SHUTTERBUG: AN EXCLUSIVE LOOK AT ROZINA MUNIB’S BRIDAL COLLECTION FOR FPW! Shutterbug: House of Zoe SS’16 Lawn Preview! 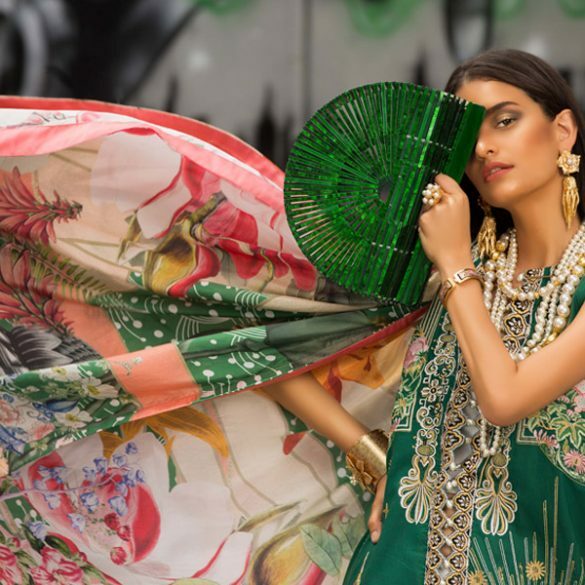 Shutterbug: Revealing Lakhany Silk Mills ‘Komal Life’ Lawn SS’16 ‘The Complete Woman’! Shutterbug: Sapphire Lawn SS’16 Preview! Shutterbug: Wardha Saleem A/W 16 London Fashion Week – Runway Ready! Shutterbug: Maliha Aziz Takes You on a Tour of Winter in Paris!